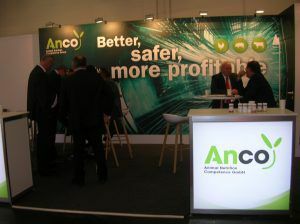 ANCO had a busy week at the EuroTier. Many new and old contacts from all over the world stopped by the booth to hear about the latest developments. ANCO officially introduced the gut agility concept, which gained a high degree of interest in several key markets. This supports the company’s global ambitions for further growth. 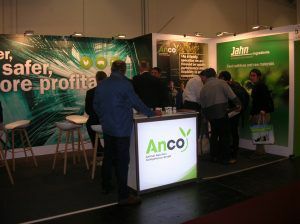 We also introduced Jahn Ingredients as ANCO distributor for Austria, Germany and Switzerland. The company’s director Rudolf Gusenbauer has many years of experience and an excellent network in the DACH animal feed industry. Together with ANCO they have already established a growing customer base for Anco FIT in the DACH region.